This 12-inch baby horse will capture your heart! 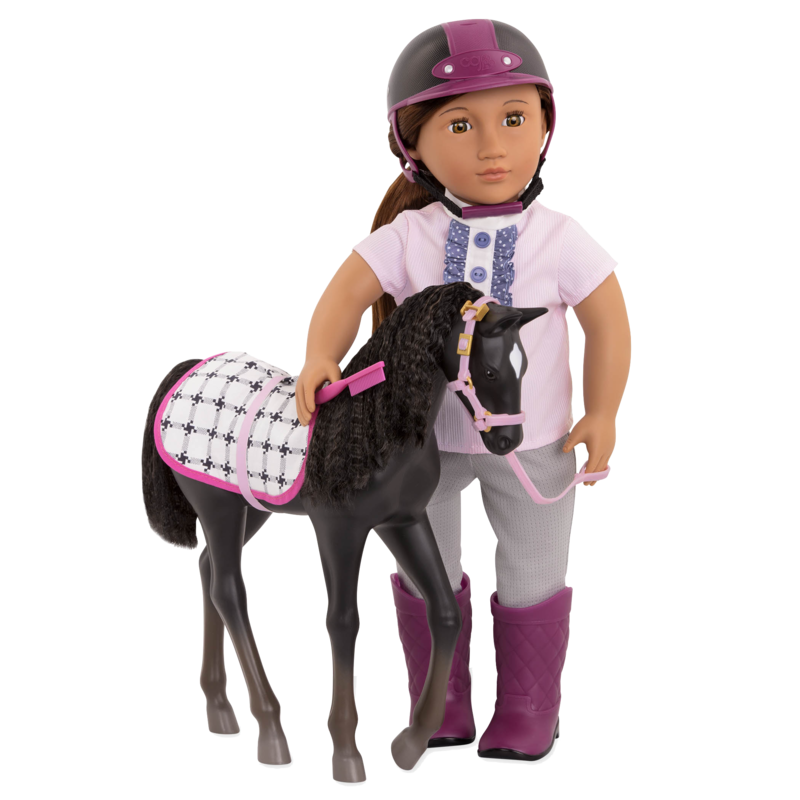 Let your equestrian dolls make friends with the Our Generation Foal – Black Velvet! 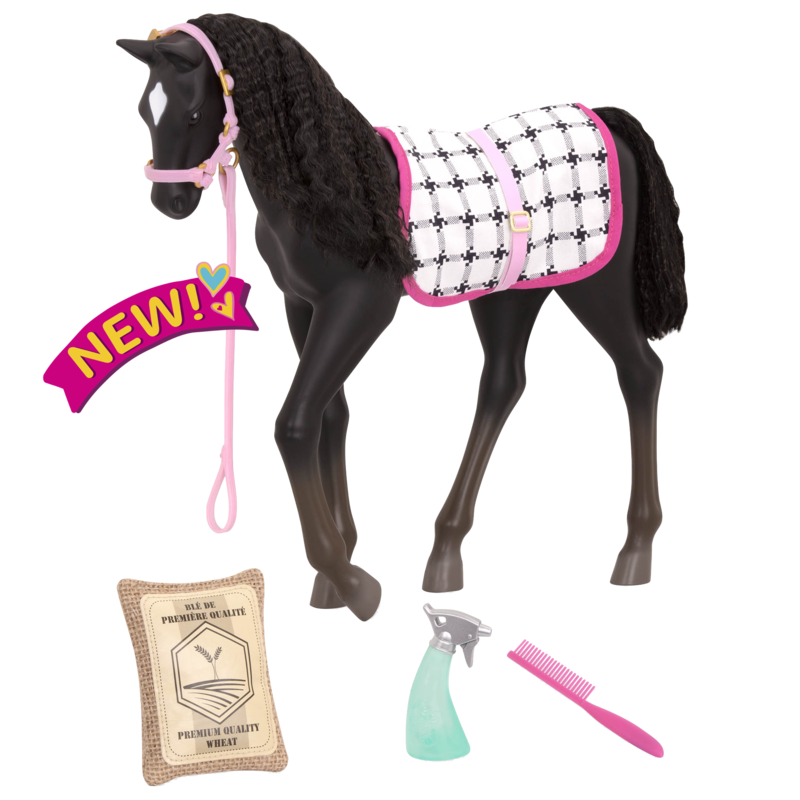 This adorable 12-inch baby horse toy is called Black Velvet due to its sleek black coloring and soft, silky black mane and tail that are lots of fun to brush and style. Care for Black Velvet with the included comb, pretend spray bottle, and bag of food. 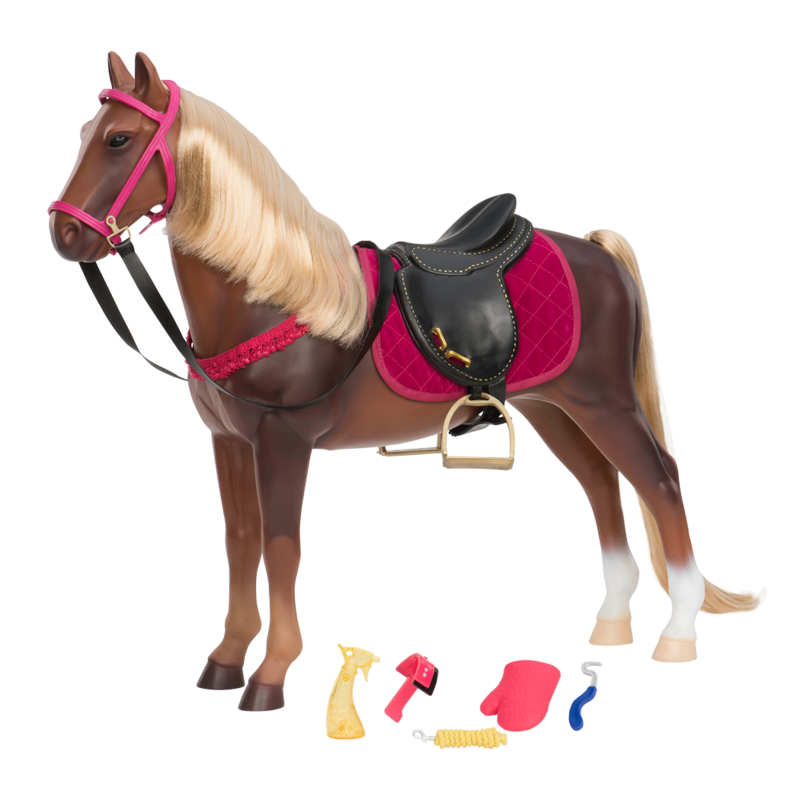 When it’s time to practice your moves in the ring, dress up your foal with the cute saddle blanket, bridle, and reins. 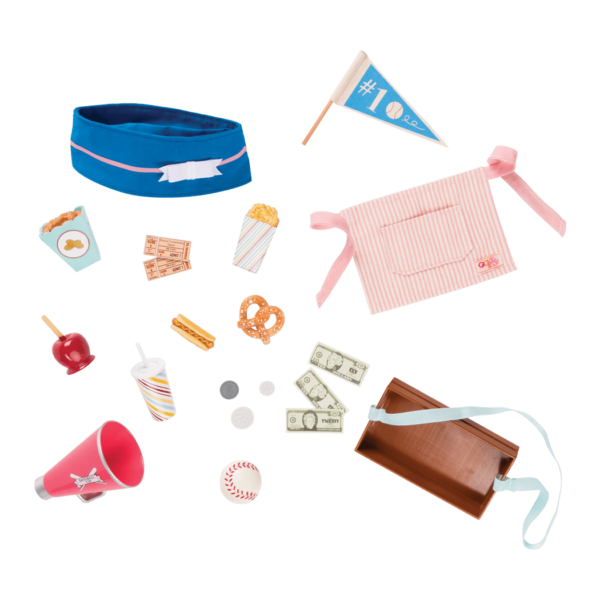 Discover all of the great items in the Our Generation Equestrian Collection for even more fun accessories to pair with your foal! 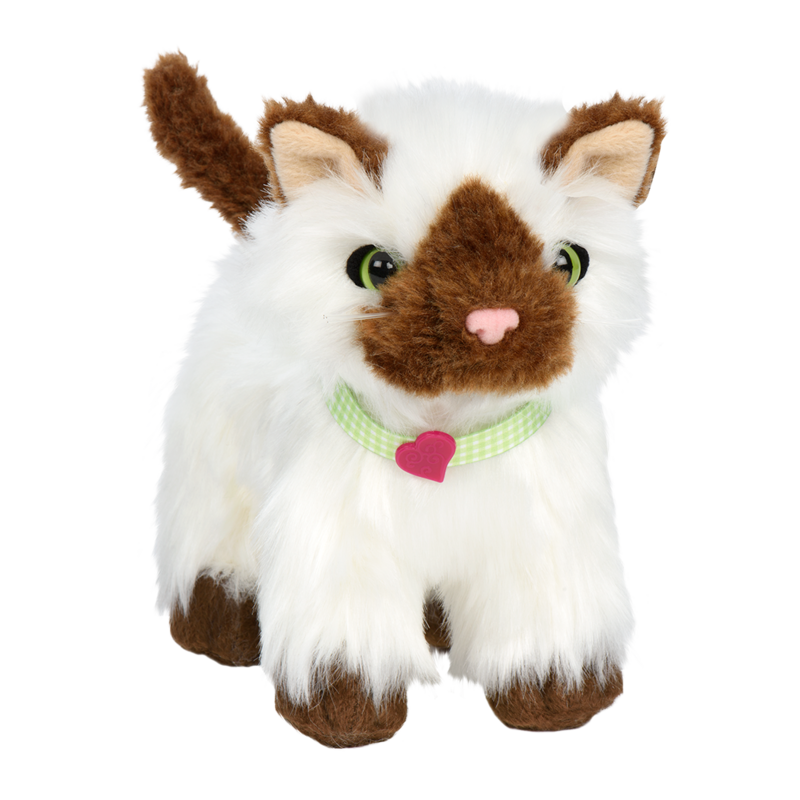 Have you met Elliana, the doll in the pictures of the Black Velvet Foal? Elliana just LOVES horses and her favorite thing to do after school is to care for the foals at her local stable. 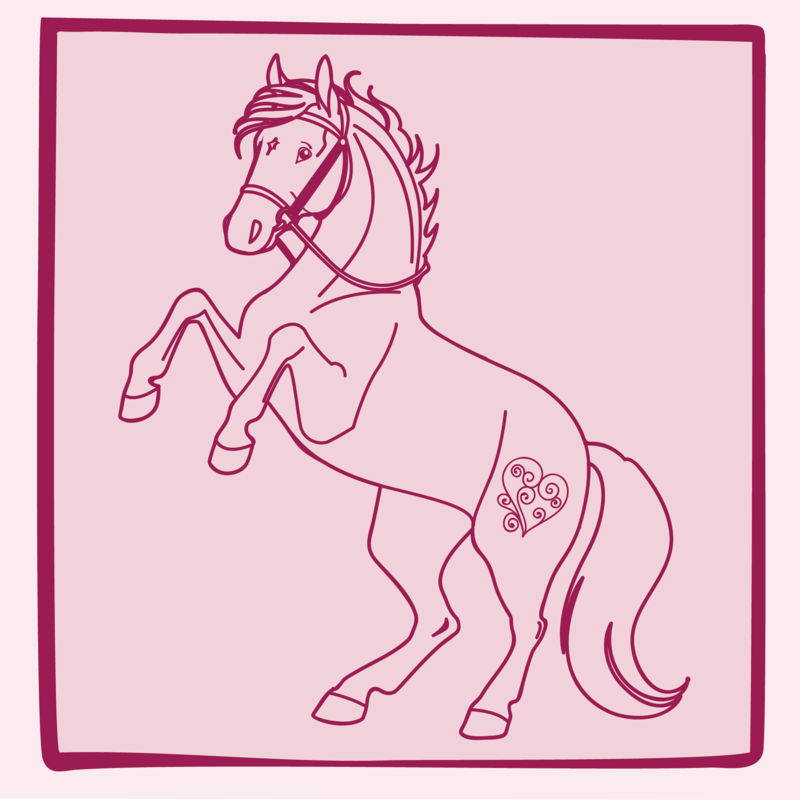 Use the Hay and Neigh Horse Care Set to take extra good care of your foals and horses. 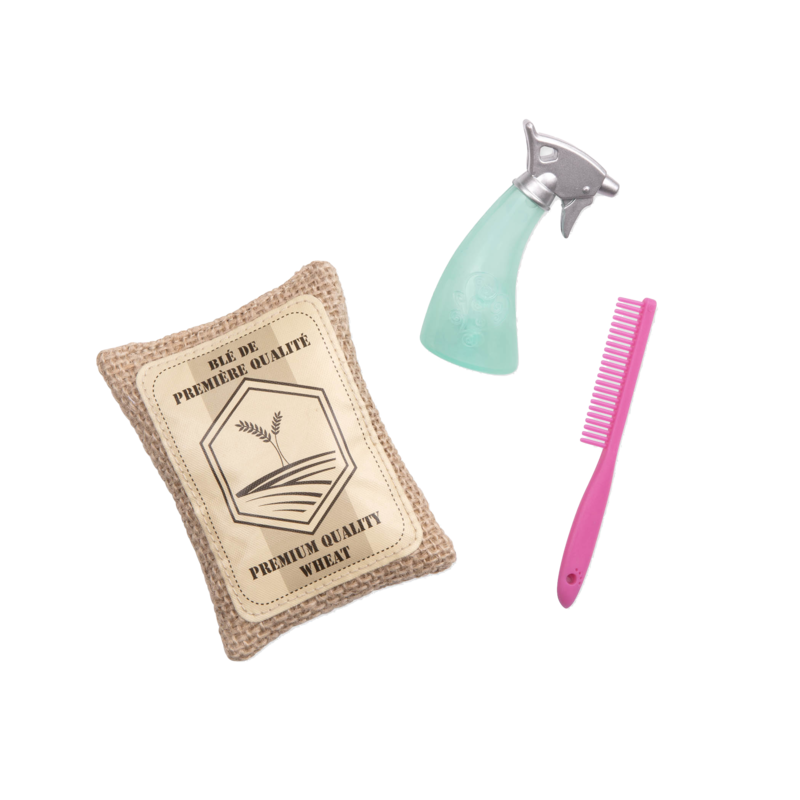 It comes with all the right feeding and grooming supplies! 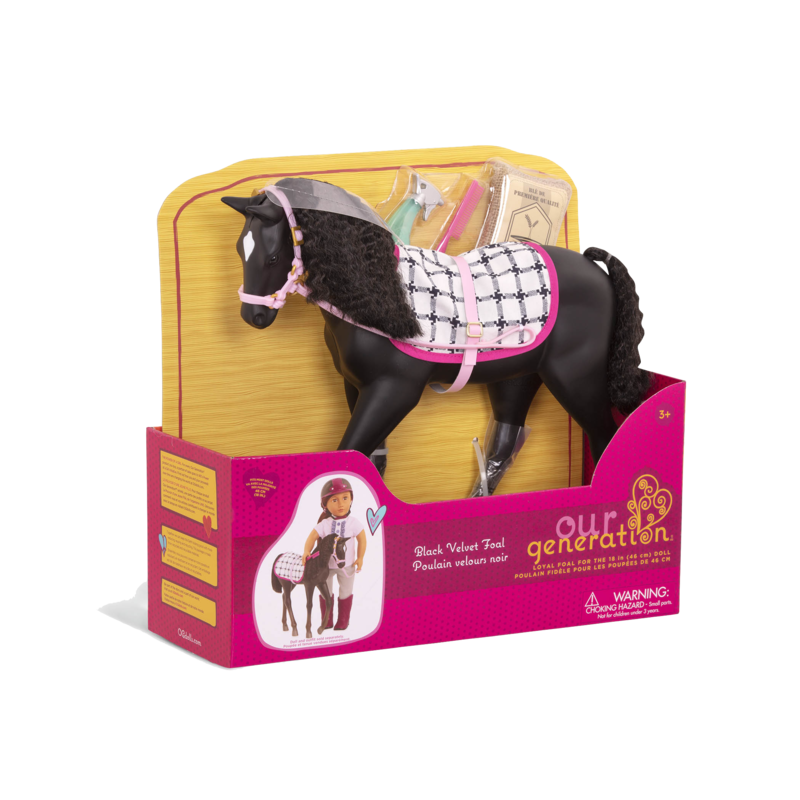 At the end of a long day, your equestrian friends can rest in the Saddle Up Stables, a lovely horse barn with all kinds of fun equestrian accessories for 18-inch dolls! 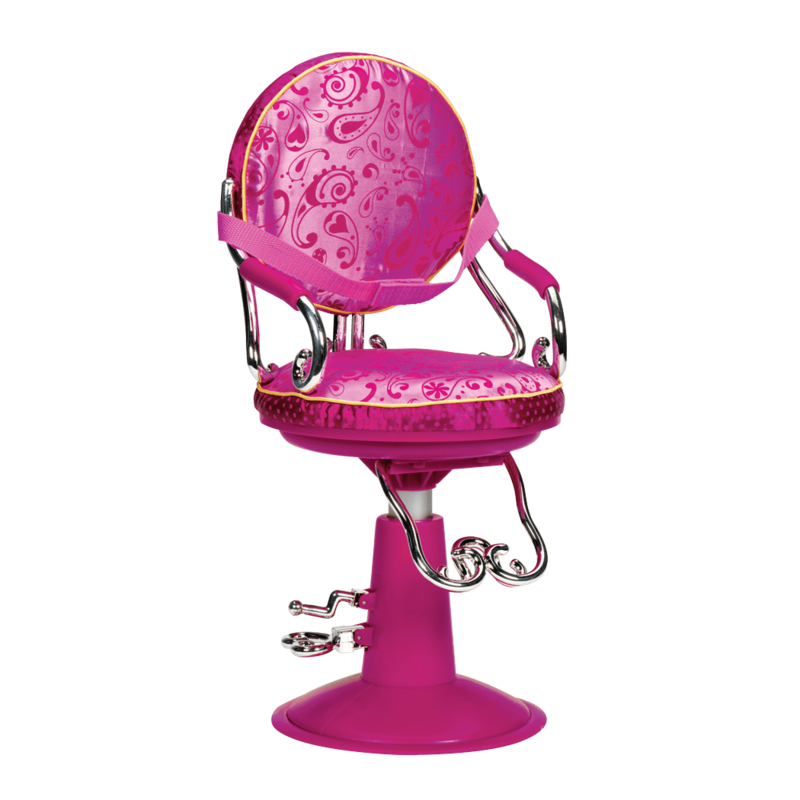 Includes foal, saddle blanket, bridle and reins, & more!